Christine WOWS us once more with this amazing tutorial! We love these gift tags so much! Our Hot Foil Stamps are specially designed for use with a hot foiling machine to create beautiful foiled images! There are 22 GORGEOUS designs to pick from and add to your craft stash! 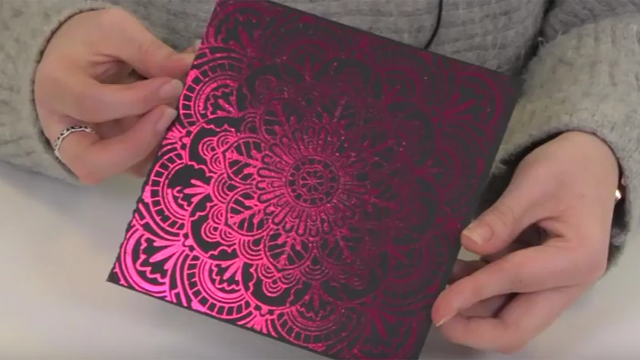 In case you aren’t familiar with hot foil stamps, they’re thin metal pieces that look like dies but instead of cutting, they create a lightly embossed impression on your card stock. When paired with your hot foiling machine and foils they create STUNNING metallic effects. They can also be used on paper, card, vellum, chipboard, thin wood, ribbon, leather and even canvas! The creative possibilities are endless! *Please consult your hot foil machine instructions for advice regarding using these stamps in your die-cutting machine.